There are few exercises in the fitness library that burn as much as the Wall Sit. This simple exercise strengthens the leg musculature through isometric training while improving total body stability. It can be done just about anywhere, and it can be easily scaled. It is important to get your hips as close to parallel as possible. 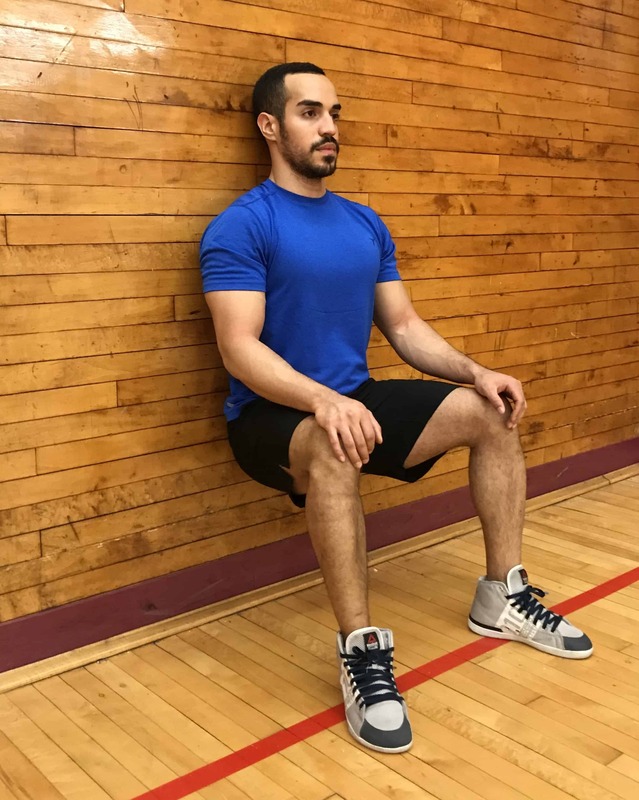 Hold the wall sit for 1 minute holding external resistance.